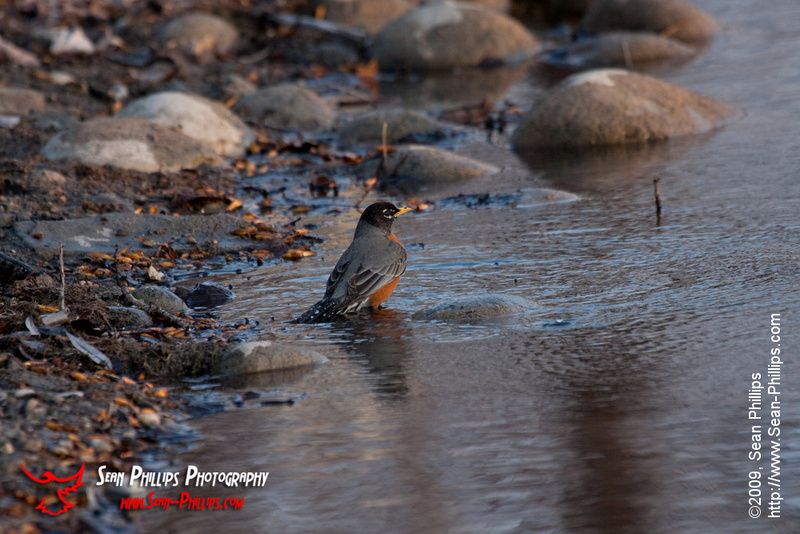 I saw this Robin taking a bath in the river at Carburn Park way back in the spring. 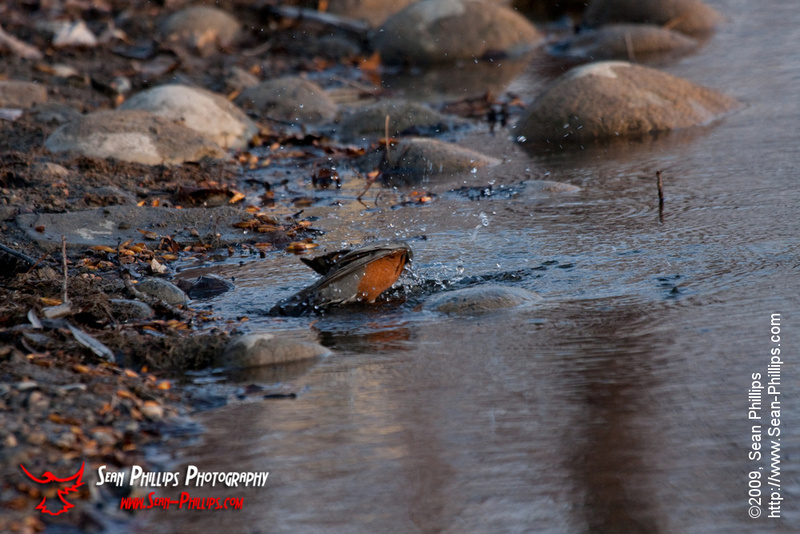 It was the first time I had ever seen a Robin in the water, never mind actually bathing. It was pretty neat to see! I’ve been going through a bunch of old photos from the past year that I never got around to processingm so there will likely be quite a few out-of-season posts like this one coming up in the coming weeks. For all the hunting and digging that Robin’s do, it’s not all that often that you find one with a meal in its beak. I saw this one hopping along the grass and it was really just instinct that made me swing my camera around to take a couple of snaps. I didn’t even realize what I had until I was looking at the images on my computer later. That looks like a really tasty treat it has in its mouth! 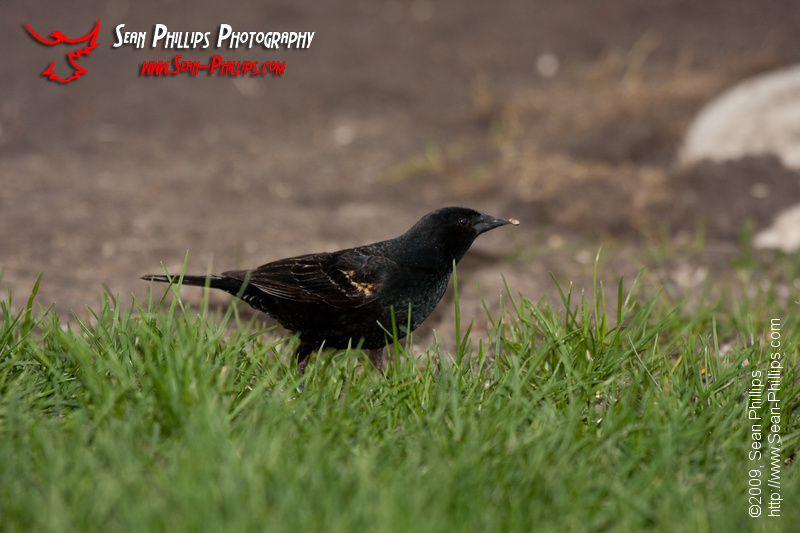 I was very surprised to discover a Red-winged Blackbird eating from the bird feeder in my backyard this weekend. It spooked when we went outside to watch it, but it came back soon after. 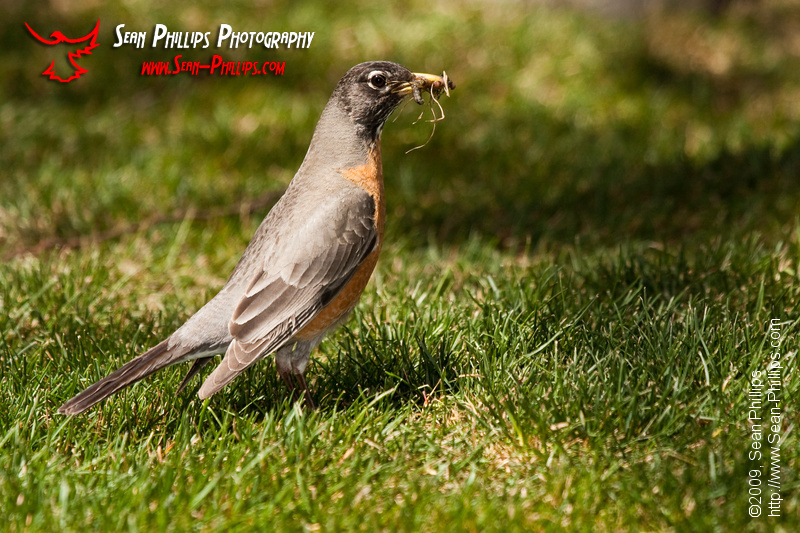 My wife and I sat and watched it eat while the kids went crazy playing in the yard. 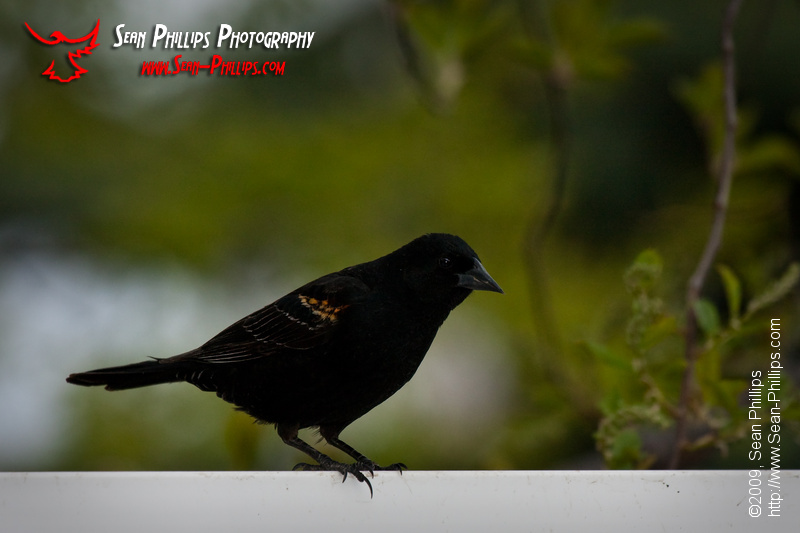 I don’t know how common it is for a blackbird to eat from a feeder, but I’ve never seen it before, so I had to get some pictures to share. 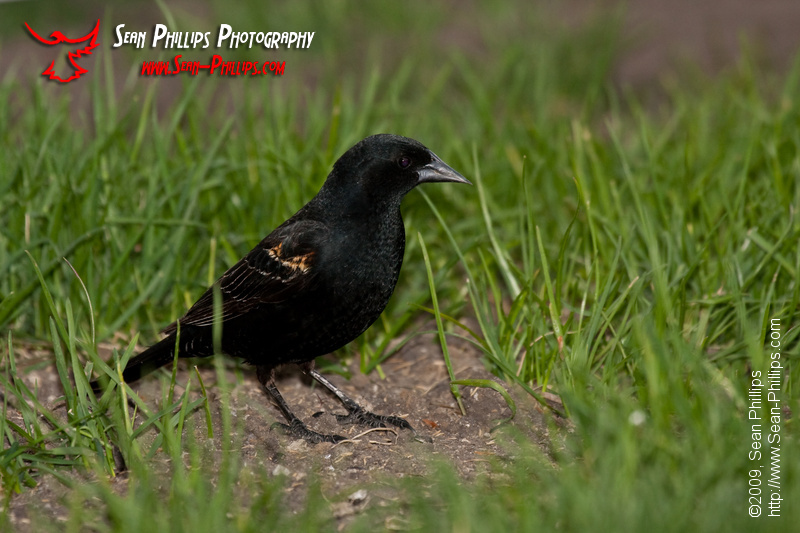 Anyway, here are a few pictures of the Blackbird from the other day. 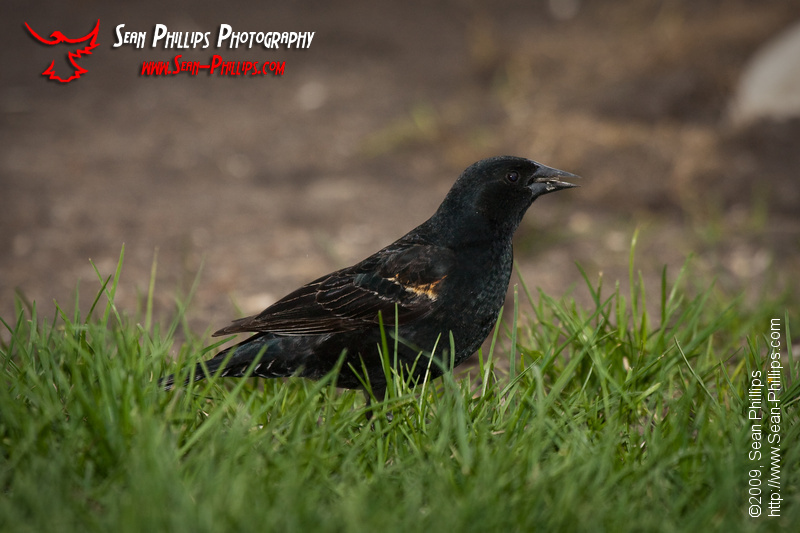 Because of the patchy colors on the wing it appears that this bird is a juvenile (1st summer).